It’s been almost a year now since I found out I had Lyme Disease, and oh how my spirit has changed. A year ago I never would have dreamed about opening up about my experiences with this challenging disease on the world-wide web, let alone friends and family. It was kind of just something I kept to myself. I had been sick for almost 7 years at this point, and felt like I couldn’t open up about how miserable I felt without sounding like a whiner and driving people away. It took getting really depressed and a compassionate doctor to finally give myself a freaking break. It’s really hard to explain this moment, but it changed my life forever. For the first time in my life, someone took a peek inside my body, and without me having to say a word about how I was feeling, he had complete compassion for me and emphasized how strong I was. It changed everything I thought about myself. I finally felt ok about not being able to do it all. I wish we all would do this for ourselves. The outside world may not know what’s going on, but we do. And it’s time we take a look inside and have some compassion. I’m about to travel home from some out-of-state medical treatments that consisted of multiple detox therapies, IV’s, and about 24 injections, but my experiences were absolutely beautiful. I was lucky enough to go with my cousin who also happens to have Lyme disease. We stayed up after 2 A.M. last night sharing, and crying, and listing off all the beautiful little miracles that we have both experienced due to our sickness. We both agreed that our sickness has ended up being one of our greatest blessings. Lyme disease consists of MANY ups and downs and periods of extreme limitations. transitioning from miserably surviving, to joyfully thriving has resulted from finally LETTING GO. This was really powerful for me because just months prior I had lost the will to live due to feelings of fear, and feeling like I wasn’t enough for my children. I felt like a broken mom who would never be fixed. I had stopped listening to my “inner truth” and started to believe the lie that my children would be better off with a mom who wasn’t sick all the time. With a mom that didn’t constantly forget to pack things like pajamas and diapers on an overnight trip. A mom that played more activities. A Mom that could get them to dance practice on time just ONCE in a 3-month period. A mom that could stop crashing in bed every single day. The truth is, that these were all very big lies. Each of my children came to me for a specific reason. They need me for my experiences, and I need them for theirs. My cousin and I both agreed that periods of being ill in bed or on the couch opened us up to a new beauty of motherhood. We are both the types to just go-go-go every day, all day. When are bodies forced us to stop and we literally couldn’t move, our eyes finally opened. We found new ways to bond with our kids. Stories, simple and silly conversation, and lots of opportunity for listening, loving and teaching. My children also got to learn how to be compassionate and helpful. In my weakness, their strengths developed. In my journey to health and healing, this is a lesson I hope I never forget. So moms….don’t be distracted by what other moms are doing. 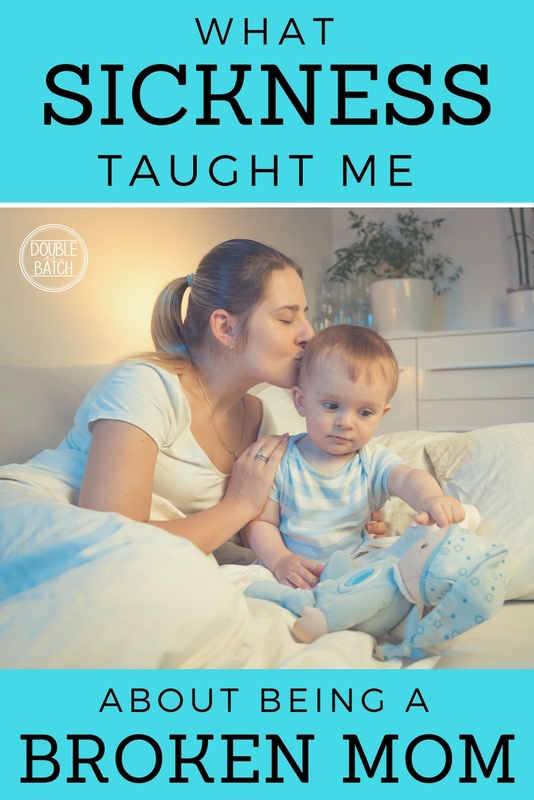 If you observe another mom and your “inner truth” tells you that you have something to learn from her, then be humble and adapt. But if you’re observing someone else results in comparison or not feeling enough, don’t allow your mind to dwell on the lie for even a second. It’s a trap and obstacle to true happiness. Don’t let the world distract you. Your kids need YOU and only YOU….even if that means occasionally mothering from the couch.